GREENVALE, NY – Valentine’s Day has become a multi-billion dollar business that includes flowers, candy, and a variety of other tokens of affection. Over the past few years, Apple Industries has helped its operators to grab a part of the Valentine’s Day excitement with new art that brings the customers back over and over again. Online greeting cards are becoming extremely popular, and the Face Place photo booths are helping operators to cash in with new Valentine’s Day art that allows users to create custom online greeting cards for the holiday of love. With a Face Place photo booth and Apple’s Smile 2.0 software, users can choose from a variety of romantic backgrounds and send personalized greeting cards to the ones they love. Face Place photo booth owners saw a boost of 100 percent in sales last year thanks to the Valentine’s Day art updates and their own marketing efforts. When photo booth owners went out of their way to bring their unique online greeting card options to consumers, they saw a dramatic rise in the number of photo booth users on Valentine’s Day. 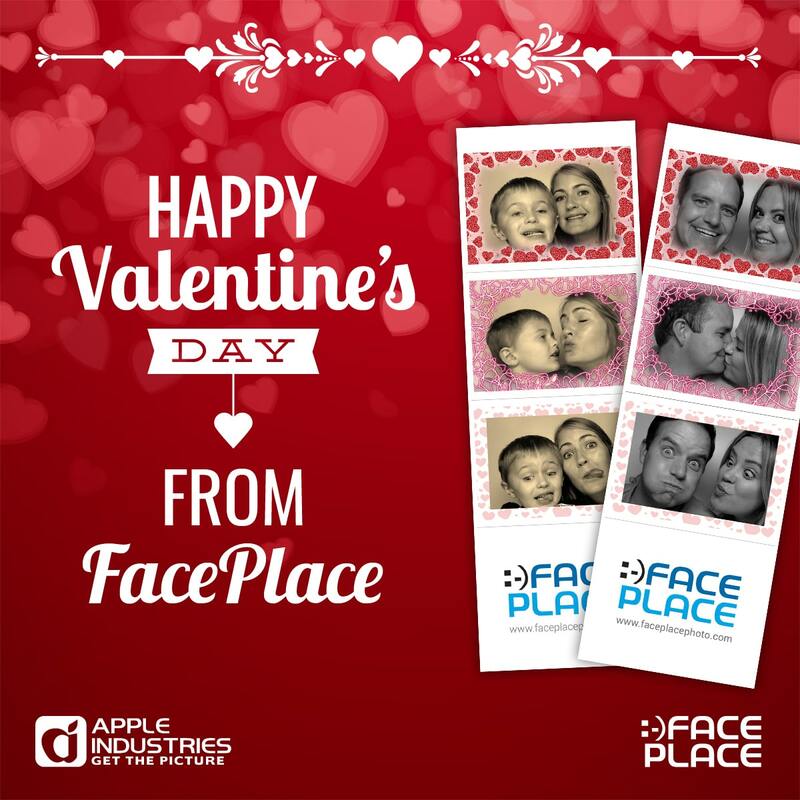 To help photo booth owners increase sales, the Face Place photo booths would automatically display the Valentine’s Day art to consumers as they walked by the booth. This enticement became more effective in the lead-up to Valentine’s Day, and worked like a revenue magnet on Valentine’s Day itself. The updates for artwork are loaded directly into the Smile 2.0 software, so operators do not have to worry about making their machines ready for the holiday crowds. “Couples love kissing in front of a camera on Valentine’s Day,” says Apple CEO Allen Weisberg. “What better way to show someone how much they mean to you than with a customized, online Valentine’s Day card? They also make great greeting cards to send to family members and close friends as well,” Weisberg noted. The art upgrade also offers upsell options such as emailing greeting cards and sending videos as well. The personalized messages can be displayed on any social media platform, and there is no limit to how many times a customer can send their personalized greeting. In 2017, Apple Industries saw a bump of nearly 100 percent in operator revenues for the Valentine’s Day artwork. For 2018, Apple expects to see similar results, but is pushing for much better. This year’s Valentine’s Day art upgrade is expected to bring plenty of attention to Face Place photo booths and the operators who own them. Operators are encouraged to begin marketing their Face Place customized photo art for Valentine’s Day as soon as possible. Apple Industries manufacturers the award-winning line of Face Place photo booths and the innovative Smile 2.0 software. Face Place photo booths allow users to share their pictures online through social media, or order packages of printed pictures directly from the photo booth. You can see the full line of Face Place photo booths at https://faceplacephoto.com/all-photo-booths or you can contact the company at (516) 619-8000.